Evergreen is a weekly collection of links to the best learning resources in business, collected by a group of aspiring managers, founders, and investors. We contribute resources about one topic each week, which are synthesized and shared in this Weekly Edition. The aim is to learn more efficiently through increased context and focus. Join here to receive the next Edition of Evergreen Business Weekly. This Edition is built from 9 posts, 1 book, and a few random things. See all of the resources and previous Editions in the Evergreen Business Library [coming soon]. Remember, these are designed to feel like short books, you’re meant to meander and spend ~3 hours on this topic this week. Save some of these links and read them throughout the week. Immerse yourself in this topic and leave the week smarter than you started it! Can you guess what these people are waiting for? How much does it cost a business to gain one individual customer? How much does the business profit from that customer, in total? The whole first half of that equation (tactics for gaining customers and associated costs) all fit under the scope of Customer Acquisition. That’s what we’ll look into in this Edition of Evergreen. It’s worth keeping in mind that the profit-per-customer of this equation, referred to as Customer Lifetime Value (LTV) must be higher than the cost of Customer Acquisition (CAC) in order to have a sustainable business. Here is a link to the Edition of Evergreen on Customer Lifetime Value — an important companion to this piece. 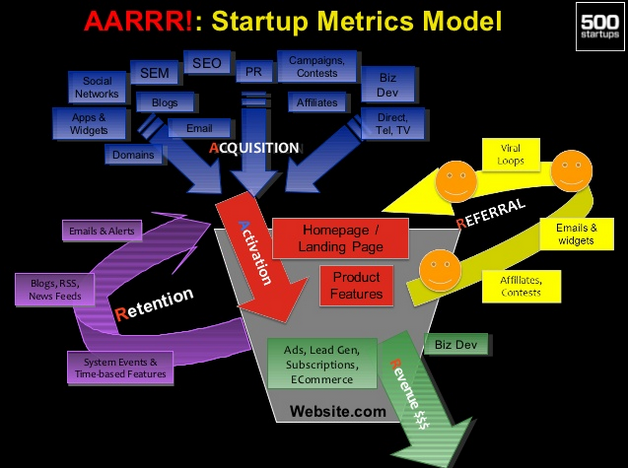 Failure to get product/market fit right is very likely the number 1 cause of startup failure. However, I have not seen any discussion about what I believe is the second biggest cause of startup failure: the cost of acquiring customers turns out to be higher than expected, and exceeds the ability to monetize those customers. The challenge ahead is finding a successful Customer Acquisition strategy, at a workable cost. We’ll get to more from this post later — it’s deep and thorough! 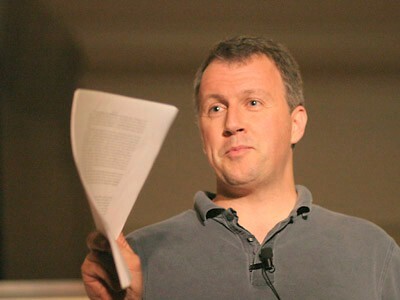 This post was suggested by Andrew Martin — great one, thanks Andrew! In my experience, companies who nail their product and acquisition were either lucky or had a deep insight into their customer’s minds (ex: Github in developer tools). Once you know who your customer is and what exactly their pain point is, you shouldn’t have to work too hard to find out where (and when) they are when [the pain point you’re solving] manifests and is at its maximum. Credit to Roger Toor for these ideas and these excerpts. Thanks Roger! The Customer Acquisition game changes significantly during a company’s growth. At first, the problem is to get one customer. Then, the challenge is to get the first 10, then 100. The mindset and tactics necessary for getting the first 100 customers are different than acquiring users at scale. The most common unscalable thing founders have to do at the start is to recruit users manually. Nearly all startups have to. You can’t wait for users to come to you. You have to go out and get them. You should take extraordinary measures not just to acquire users, but also to make them happy. For as long as they could (which turned out to be surprisingly long), Wufoo sent each new user a hand-written thank you note. Your first users should feel that signing up with you was one of the best choices they ever made. Graham’s whole post is fantastic, full of anecdotes about the early days of giants-to-be, and the humble beginnings that they came from. One of the challenges of Customer Acquisition is the huge range of possible channels, and tactics within them. It’s an overwhelming set of options to tackle, and a dangerous choice to make blindly. A book called Traction is a great map to making these challenging decisions. Click this inconveniently enormous book cover to go to the Amazon page! Also it’s an amazon affiliate link. Early in the book, it outlines The Bullseye Framework, a process designed to surface the most promising channels for any particular Customer Acquisition Challenge. This is a process that closely parallels Brian Balfour’s post, 5 Steps to Choose your Customer Acquisition Channel. The meat of the book is where it breaks down 19 different channels, and offers some ideas to take on each one. 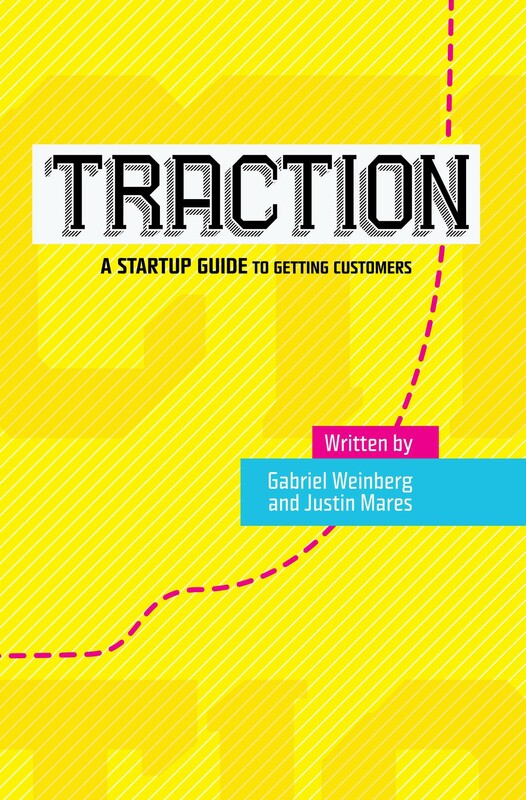 The authors of Traction interview 40+ different founders, CEOs, and growth experts to understand how each channel was used successfully. The book is full of stories about how companies of various sizes and stages leveraged these channels into growth. This book was recommended by both Derek Baynton AND David Spinks… so you know it’s good. Thanks guys! Early in a company’s life, all it needs is ‘traction’—enough customers to prove that the business has an audience that is willing to pay for what they’re selling, essentially to prove product-market fit by doing things that don’t scale. As those tactics become too unscalable to continue to hold up the required growth rate, companies must find other options. This is referred to as the Growth stage, where Customer Acquisition becomes about scale and efficiency, rather than an any-means-necessary scramble. Scaling growth is hard — there’s only a few ways to do it. When you study the most successful mobile/web products, you start to see a pattern on how they grow. Turns out, there’s not too many ways to reach 100s of millions of users or revenue. Instead, products mostly have one or two major growth channels, which they optimize into perfection. These methods are commonplace and predictable. Each of these channels creates exponential growth because when you make money from customers, you can use that money to buy more customers, which give you more money. Or in the virality scenario, a cohort of new users will invite even more users, who then invite even more on top of that. The biggest ad networks reach a billion users or more. Similarly, SEO works because almost everyone uses Google, so as long as you’re dealing with a high-volume base of searches (like music lyrics, or products) then you’ll be able to reach hundreds of millions of users. We’ll dig deeper into each of these channels in future Editions of Evergreen. Customer Acquisition starts simple, and gets complicated quickly. Consider the number of channels that are active at any time, then the lagging effects of them, then that customers are often influenced by multiple channels. Now consider that customer value varies depending on the channel they came from. Complicated. Fortunately, this wide range of variables affecting Customer Acquisition means that there are a lot of levers to pull that can improve the metric. Most Customer Acquisition funnels have a designation for a ‘prospect’—someone who showed some interest in the product, whether or not they buy. That could be someone who walked into the store and didn’t buy, created an account on an e-commerce site, or is using a freemium feature. Paying Customers are a fraction of this set of Prospects, and this is the ‘conversion rate’ of your audience. One huge lever to improve efficiency of your Customer Acquisition is to increase this conversion rate. Tactics that could be helpful in this are inside sales, special offers, etc. Other toggles can be the increasing share of low-cost channels (SEO, Word-of-Mouth), or decreasing spend on higher-cost acquisition channels to bring down the average. Plan ahead—knowing that you can acquire customers through some of these lower-cost channels can mean viability through growth challenges to come. The challenges with Customer Acquisition are not just in the execution of the tactics, but the external pressures. It’s a function that must work in coordination with the rest of the business. Lowering CAC is simple in a vacuum—eliminate spend on all but the lowest-cost channels, but that means you’ll be slowing growth. Overspend for growth, and your CAC shoots through the roof and your unit economics fall apart. 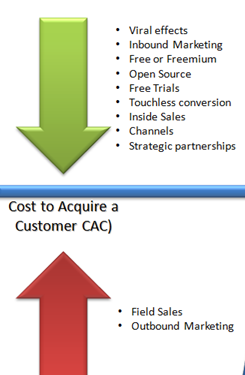 Mastering Customer Acquisition Cost comes from growing as much as possible, as cheaply as possible. Spending efficiently to test and eliminate channels early, and double-down on making effective channels improve. Start with Brian Balfour’s How to Become A Customer Acquisition Expert. There is a great primer here about what is/isn’t helpful to pursue, some books for background in psychology, and a great set of links categorized by channel to get you started. 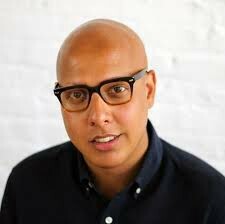 Also, I’d recommend reading through Andrew Chen’s List of Essays. 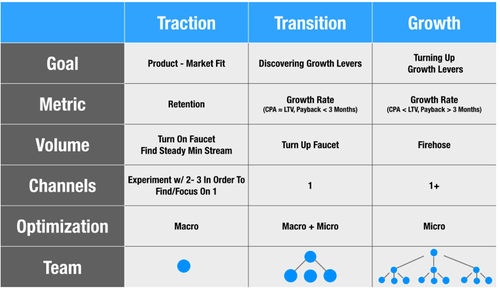 Anything related to Growth, Acquisition, or Traction is going to be helpful. Checking out the Must-read section of Growth Hackers periodically will keep you on top of the new developments in the community. Massive appreciation for who suggested pieces of content (or wrote something new) for this Edition of Evergreen: Ray Stern, Preet Anand,Aaron Wolfson, and Rob McGrorty. Many thanks for being a part of this project! Not every suggestion is able to make it to the final edit, but every single suggestion is read and appreciated. As my Father always says: “There’s always room for the best.” There’s always a better resource out there. These collections can always get better, and I hope that they do. If you can think of anything that was missed, I welcome you to share it. To share your thoughts, improvements or additions: Email or Twitter.